Still, it’s the winter of our discontent for those who live in the northern part of our planets hemisphere. And since we tend to complain about the bitter cold or inclement weather during the winter season I thought it would be befitting to inject some positivity and perhaps some courage into some of you creatives out there. So grab your galoshes, strip down to your undies, and head out to the nearest lake or river and take the plunge! Okay, maybe not just yet. First read the article and then make the choice. The choice of whether to stay complacent or to be uncomfortable. In the modern era in which we live in it is now possible to eliminate almost all physiological pressures. We’re actually wired, these days, to stay away from strain and tension. Conveniences are great but they can come with a heavy price tag. We become lazy, lethargic and complacent. Therefore, I’d like to share an idea with you that may change your outlook on this matter but allow me take you on a trip a couple of centuries back and tell you a story about the Souix Indians. 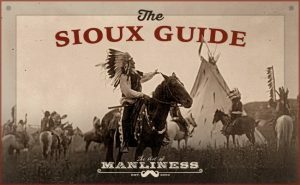 The Souix indians were a native America tribe who lived in some of the harshest environments during the winter seasons of North Dakota, Iowa and further states south of Canada. And back in the eighteen hundreds missionaries spent time with these tribes in order to learn about their culture. On the brutal winter mornings the mothers of the Souix tribe would gather their young ones and walk them down to the lake. They would then cut a whole in the frozen lake and bathe their kids. Teaching them to be brave!? Aren’t there any other methods by which to teach your kids to be brave other than dunking them in a frozen lake? Strengthen your immune system and fight off disease and infection. Assist in recovery after a good workout at the gym with better muscle gain and fat loss. It spikes your metabolism by forcing your body to regulate its temperature. It tightens your arteries and veins which aids the flow of blood at a higher pressure meaning better circulation. And by contracting your arteries and veins it results in squeezing out toxins and waste through your skin. Plus, no use of heat means no energy, therefore less Co2 emitted, less global warming and lower electricity bills. Voila! 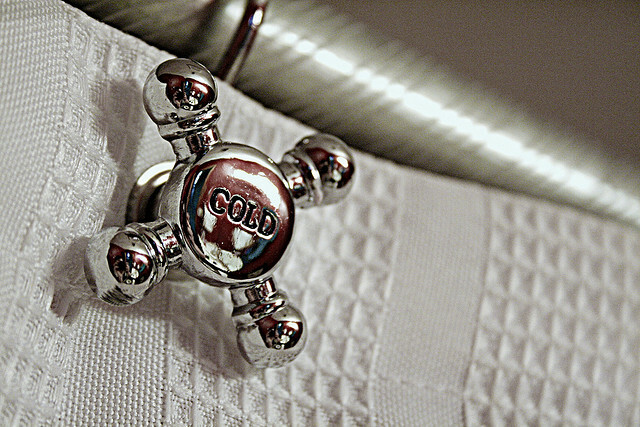 Cold showers isn’t a new concept or a fad. It’s a practice that has been going on for centuries and is very much in tradition in several countries today including Finland, Iceland, Russia, Thailand, Korea and Japan. These practices apparently promote good health. 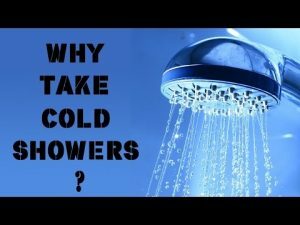 But lets put aside the physical bodily benefits for taking cold showers for now and concentrate on whether it can actually make your stronger and braver – mentally. The reason being is that I truly believe that in our creative industry whether you’re a writer, director, producer or actor we all come across moments where we feel complacent. Those comforting moments when our human psych is somehow wired to telling us to stay away from the efforts and exertions that block our path or as Shakespeare put it – ‘the slings and arrows of outrageous fortunes.’ Or ‘to take arms against a sea of troubles,’ but this time taking on a sea of icy waters. Whether it’s having to make that dreaded phone call to the agent, knock on the casting director’s door, or pitch your idea to an investor, finding that brave moment requires for us to be resilient in our approach. So back to the cold showers. Can they really make us brave mentally? A further study shows that taking cold showers can treat depression symptoms and could even be more effective than taking antidepressants. Apparently, it is a great mood booster that triggers a flood of endorphins which is similar to getting a high. Perhaps this is an indication that there can be a rewiring of the neural pathways to the brain when taking cold showers, which could potentially lead to us being brave not just physically but mentally as well? Who know. The only way to find out is to challenge ourselves. Start off with a hot shower first and just before you finish turn it full blast to cold and luxuriate in that moment of madness for a good 30 seconds. I’d suggest that before you turn on that cold tap fully take in ten deep breaths, to calm your nerves, and relax your body since once your body goes cold you’ll witness a quickening of your breath that may even turn to panting which is a sort of a euphoric sensation in some way. Jump up and down if you have to, scream out loud if you must, giggle uncontrollably if you want to, in order to release some of the pressure of the stinging sensation of the cold water hitting your body. Stick with it for as long as you can muster and once you’re done turn off the water completely and towel yourself down. You will definitely feel invigorated, rejuvenated and perhaps even enlivened by the experience. Then, I’d suggest that you go ahead and do something daring straight away. Throw yourself out there, ride that high that you’ve just experience and capitalise on that buzz that you’ve just generated and challenge yourself. 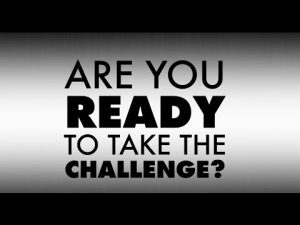 Beat complacency at its game and go ahead and make that dare; take up that challenge; and go for gold. Hey, you may even surprise yourself and feel better for it not just physically but mentally. And before you know it you’re like a little three year old Souix Indian kid who’s ready for more. Go forth and Rebel with a cold spell.